The Cowboys don't play a lot of late afternoon games. But when they do, AT&T Stadium is perfectly primed to capture the low rays of the sun in striking, often distracting ways. The team heading west in the second quarter—in this case the Broncos—had the sun directly in their faces. 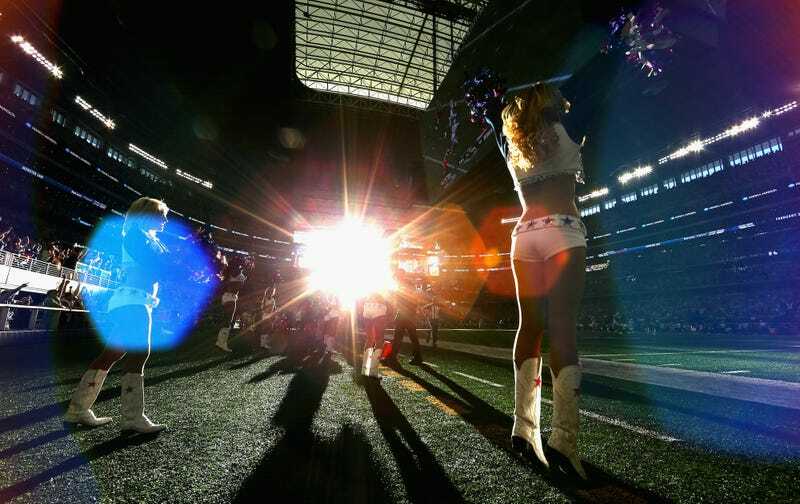 It's something that doesn't come into play later in the year, when the sun sets farther south, but yesterday afternoon everything came together to allow Getty Images photographer Ronald Martinez to capture these shots of the glare and shadows down on the field.